We are actively engaged in offering Aluminum Screen Printing Frames to the clients. 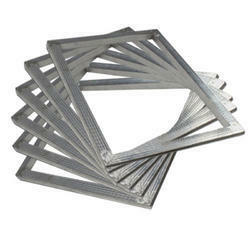 Our offered frame is manufactured using best quality components and latest cutting-edge technology at our vendor's end. Moreover, we offer this entire range in different specifications as per our client's exact demands. we are a prominent name engaged in offering screen printing frames. it is precisely designed and developed by our vendor’s expert team of engineers keeping in mind the most recent trends in the market. 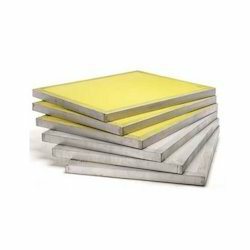 We are offering a wide range of Screen Printing Aluminum Frames. Our offered range of products is widely demanded as we offer these products to our clients at various market leading prices. 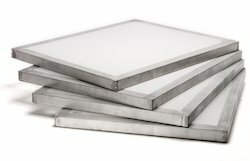 Looking for Screen Printing Frames ?